Enter this gated community property ready to unwind and enjoy all that Bryan-College Station has to offer. Whether you prefer sipping mimosas at the dining table or drinking sweet tea on the back patio, this property will meet your relaxation needs. Well maintained and private, the outdoor patio offers guests dining and grilling options for your stay. 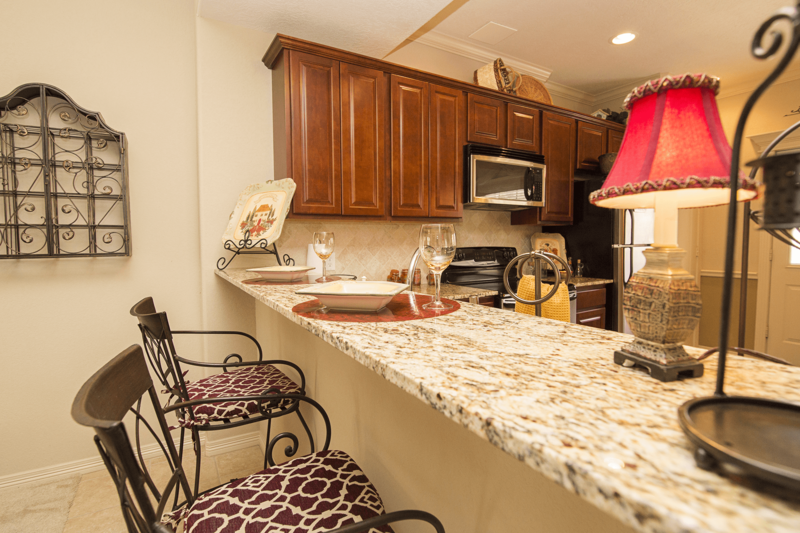 If you prefer to bake, the fully stocked kitchen provides travelers stainless steel appliances, cookware, and dishware. As you make your way through the stylish and cozy kitchen, bar seating is available to give guests a closer look at the sleek granite countertops and custom cabinetry. In the mood for a movie? Snuggle up in the living room on a couch which doubles as a pull out bed and enjoy the cable/DVD capable television! All that Aggie tailgating will wear you out, so make your way upstairs to one of the guest rooms prepared with comfy bedding and Aggie themes. 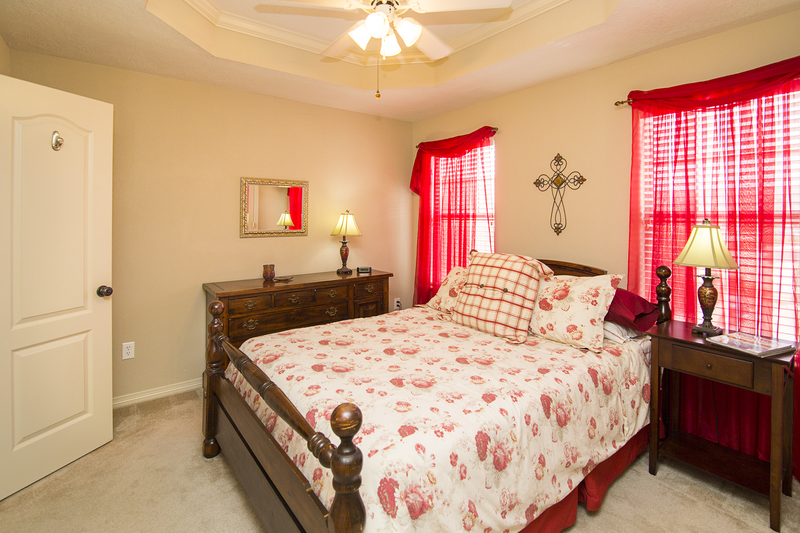 Choose the first room with a queen sized bed or make your way to the second room with two twin sized beds! Two hallway office spaces provide room to get work done…if you must! If you’re in Aggieland this year, this is a property you don’t want to miss!